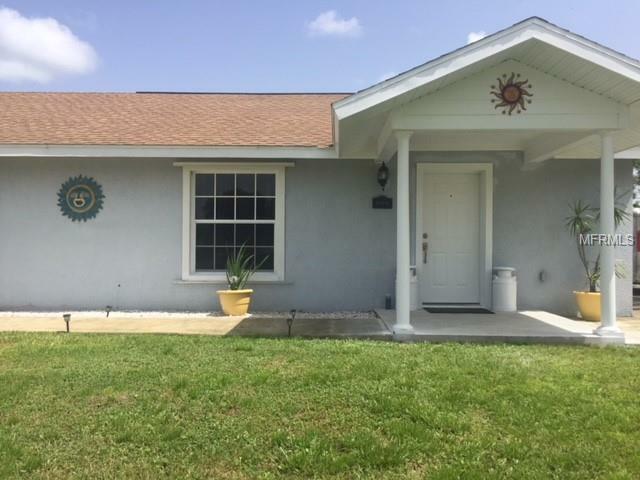 VERY MOTIVATED SELLER in USDA territory with a real country feel yet 12 minutes from downtown Punta Gorda !This POOL HOME is located in a rapidly growing SunnyBreeze area. Here you are close to the water but not in a flood zone. Boat Ramp and park area 2 miles away! Home inspection report available. This beauty welcomes you with its large, open living room with cathedral ceilings and split floor plan. The kitchen is beaming with its granite countertops and bright modern cabinetry. New appliances except the dishwasher and refrigerator. Hurricane shutters for all windows. Newer 10x5 shed for storage. The location is quick access to the Peace River area for boating. The master suite is large enough for just about any furniture with a large walk-in closet and adjoining bathroom. The guest bedroom has a nice closet as well and there is a bonus room currently being used as an office that you could easily convert into a 3rd bedroom. You can sit out at the pool overlooking the pasture behind you and cook out or take a ride down to the public boat ramp that will take you to the Peace River, then to the harbor and eventually to the Gulf. You also have the option to join the SunnyBreeze Golf Course where you have the leisure to golf the 18 hole course. You're close to Highway 17 for good access to work in either Arcadia , Pt Charlotte and can travel south to I-75 and downtown Punta Gorda in less than 15 minutes!. You don't want to miss out on this one! Quite clean living area. Call today to schedule your showing.